In one of the more unlikely stories of the year in beer, Queensland’s still-wet-behind-the-ears Black Hops Brewing has teamed up with one of the world’s biggest video game developers, Activision. The brewers were asked to create a special beer to celebrate today's release of Call of Duty: Black Ops III. The collaboration came about after Black Hops Brewing was contacted by Activision at the end of June. The Gold Coast trio – Michael McGovern, Eddie Oldfield and Dan Norris – were initially suspicious that the email could be spam. But, after a cautious reply was sent, introductions were made, fears of a hoax were quickly assuaged, and so the partnership between craft brewers with a handful of beers under their collective belt and a multibillion dollar tech company blossomed. There was only problem, albeit a fairly significant one: they had no brewery. “We’re resourceful gypsy brewers and so when we got the call we immediately said yes and then figured out how to do it,” says Michael. To be asked to brew a beer for the nation at this early stage of a craft brewery’s life, having only launched in November 2014, is a monumental achievement and something you don’t say no to. At the same time, it’s a pretty monumental task too, one that has led to the world’s first Call of Duty: Black Ops III beer: the Midnight Pale Ale available exclusively in Australia. 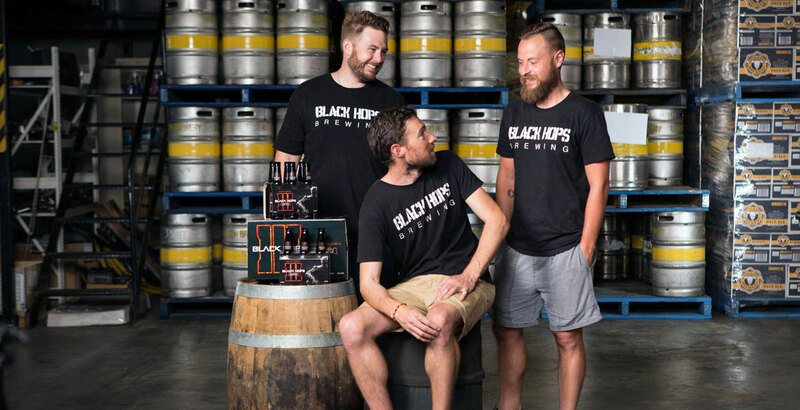 With Black Hops currently in the midst of setting up their own brewery on the Gold Coast (read more here) and hoping to open its doors in late 2015, they had to turn to contract brewers capable of producing more beer than those breweries who had welcomed them as gypsies to date. 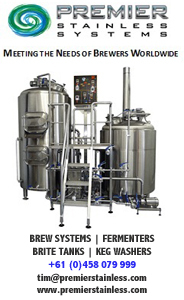 So, to fulfil their promise to Activision, they ended up working with BrewPack (pictured below), in the western suburbs of Sydney, to brew 5,000 litres of Midnight Pale Ale. The brewers were keen that the beer wouldn’t just be a gimmick. 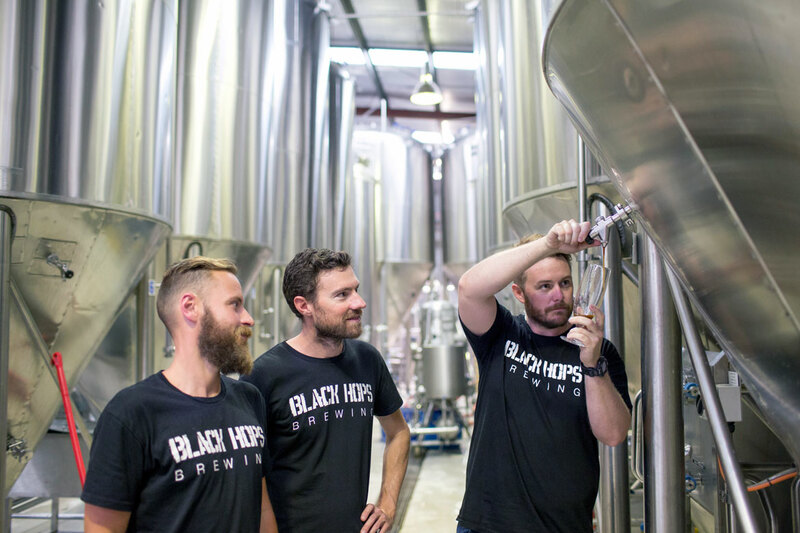 And, having launched with an Eggnog Stout – a beer that could well have been a gimmick but was instead a stout that was well received throughout SE Queensland – Black Hops set out to create something they would be proud of. Adding to the pressure, this beer was going to introduce their brand – and in many cases craft beer itself – to a new audience. Thankfully, when the test brew was sent off to Activision Australia it was met with fervour and rave reviews. Midnight Pale Ale has been brewed with midnight wheat, a specialty malt that can create a spectacularly dark rich colour but without any of the associated roasted or bitter characteristics, and is a 4.8 percent ABV drop with citrus and pine hop aromas. It is, they reckon, the perfect companion to not only an intense gaming session but also Australia’s hot summer. Since the news broke on October 28, the internet has gone berserk. Global gaming websites have picked up on the beer and have spread the word of this unique brew,far and wide. As such, the guys at Black Hops have been inundated with requests for the Midnight Pale Ale to be available in Asia, Europe and the USA. The accompanying game, Call of Duty: Black Ops III, is released today (November 6) across most gaming formats, including PS4 and Xbox One. If you’re a gamer, it’s the perfect excuse to grab a case of Midnight Pale Ale, invite your friends round and immerse yourself in what will in all likelihood be another excellent instalment in the Call of Duty: Black Ops franchise. As for the Call of Duty: Black Ops III Midnight Pale Ale, that's available now too, although you won't be able find it in your local bar or bottleshop. It is available only through online retailer BeerBud, costing $24.99 for a six-pack or $74.99 for a carton plus their shipping fees – $6.99 per delivery to the main cities in New South Wales, Queensland, ACT and Victoria, $15.99 anywhere else in Australia. If it sells out quickly, Black Hops have assured us they will happily get back to work and brew a second batch to meet demand. About the author: James Graham is a recently relocated Scottish expat, a scientist and a writer who enjoys good quality craft beer to keep him cool and sane under the scorching heat of a Queensland sun.